Spring is upon us and the real estate market is starting to heat up, yet again! Although we typically expect to see increased activity in home sales this time of year, a number of factors have come into play that make Right Now a terrific time to Sell Your Home. Low Mortgage Rates: Late last month mortgages hit a 14 month low hovering around 4.06%. On March 28th fortune.com reported that “Mortgage rates fell more in the past week than they have in any one week period in more than a decade” (http://fortune.com/2019/03/28/mortgage-rates-tumble/). Lower mortgage rates mean more purchasing power for homebuyers and that brings more people into the market. It’s important to note that mortgage rates constantly fluctuate, but we’ve been experiencing historic lows for some time which has helped keep demand high. Lack of Inventory: The inventory of existing homes for sale remains very low. Most new construction is focused on price points above $350,000 which means that very little inventory is being added to the red hot $150,000-$350,000 which means buyers are competing for a limited stock of existing homes. Buyers are Out in Force: A recent open house I held in Burlington at a home that had been advertised for less than 24 hours resulted in 45 attendees! This set a new bar for my team. I’m going to need to bring more snacks next time! This is just one example and every home is different, but activity like this can be a useful barometer for market conditions. Multiple Offers: The above open house resulted in a total of 6 offers! I know of another home in my neighborhood that just went on the market and received 14 offers! Again, these results can’t be translated to every sale, but serve as examples of market activity. It’s Spring Time! : I’ve been watching the ice in Burlington Bay slowly melt and have observed a few flowers braving things above the ground. The spring selling season is perennially a busier time of year for the Real Estate market. People are contemplating moves between school years and it’s easier to understand a home and property when they aren’t buried in snow and ice. More light in the evenings makes it easier to show homes and it’s just easier to get around. The above reasons provide a snapshot of current favorable conditions for home sellers. If you’re curious what your home might sell for in today’s market contact me anytime for a free home valuation and seller consultation. I’d welcome the opportunity to provide you with useful market information and pricing suggestions with no obligations. Hope to see you out and about this spring! Should I stay or let it go? Thanksgiving provides us with an opportunity to give pause and collectively express gratitude for the things that matter in our lives. I'd like to take this opportunity to list a few things that I'm thankful for this year. 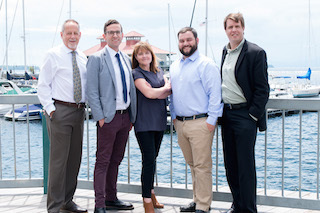 Please join Burlingtons newest real estate office, RE/MAX North Professionals Downtown, home of Matt Hurlburt Group and David Parsons Condo Guy and Todays Homes of Vermont.ï¿½ We will have local beer and drinks poured by the fabulous Arts Riot Crew, light snacks and spectacular Burlington views. Parking available: Walk over or ride your bike, but we have a parking garage and metered parking along the streets. About Matt Hurlburt Group: A small family group that has specialized in client services for over 21 years. The Matt Hurlburt Group provides time tested, experienced, and knowledgeable services, with the clients input, each step of the way. Past-represented properties vary from new construction projects, investment properties, single-family homes and condominiums. The Matt Hurlburt Group is committed to providing a high quality of service and clear communication. About Condo Guy: With over 2200 condos sold since 1999, The Condo Guy Team has been providing solid advice to buyers and sellers of Vermont condos real estate for nearly 30 years. The Condo Guy knows the Vermont condo market and has the systems and experience to exceed expectations and deliver peace of mind in what is often an overwhelming life event. About RE/MAX North Professionals: Vermonts #1 RE/MAX Office is focused on providing the best results and service in the industry! Agents at RE/MAX North Professionals listen carefully to understand your real estate goals and work hard to create solutions that make sense. These agents know Northwestern Vermont from top to bottom, inside and out, the greater Burlington Vermont area, from Middlebury to Swanton, and Lake Champlain to the Green Mountains. The new Burlington location has allowed to further expand the company footprint. 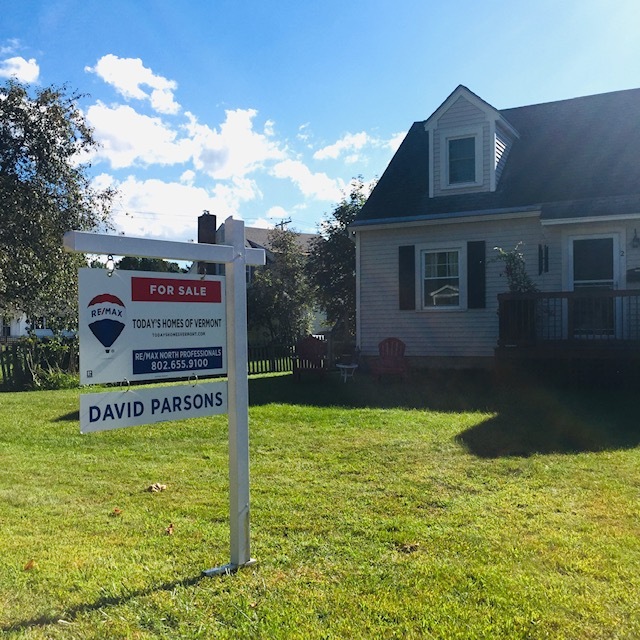 Four office locations include the Colchester, Cambridge, Middlebury and Burlington offices with a total of 36 dedicated and dependable real estate agents. Back to School, Time to Sell Your Home! It’s that time of year again! The new school supplies, the fresh haircuts, the sweet back to school sales, the early chaotic mornings, the packed lunches, the yellow buses, the thousands of Instagram back-to-school photos and of course the very excited parents practically jumping for joy… Hello teachers! Goodbye summer! 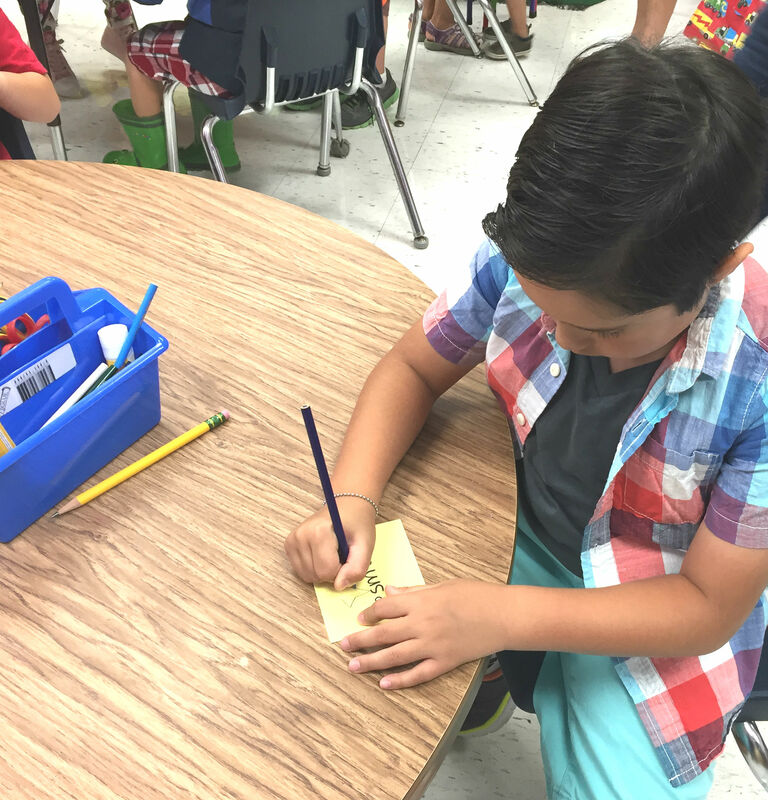 We can't help but feel motivated to get the school year off to a great start! Maybe you’re one of those parents. The feeling of ‘it’s time to get stuff done’ is lingering in the air. Perhaps you’re a brand new empty nester and you’re realizing that you might need to downsize. Either way, it’s definitely a time of renewed energy inviting change and new opportunities. It could also prove to be a great time to put your property on the market. Back to school? A good time to sell? That might sound pretty far off from what you’re used to hearing. You’ve been told time and again that spring and summer are the best months to put your home on the market. While yes, they are indeed busy and competitive seasons for residential real estate, you tend to see some very serious buyers in the fall. Factor that in with less competition and you can likely expect to see a quick and easy sale. Many home buyers shopping in the fall have a deadline to work with, especially in a state where the winter weather may prove to be challenging for a move. In this scenario, a home shopper will be less likely to haggle if the property meets their needs. Fall’s lack of inventory is a dream for the motivated seller. If buyers have fewer homes to consider, yours will simply stand out more. Did you know that the cooler weather and smell of pumpkin spiced lattes can help too? If you're trying to sell your home, buyers need to have an easy time imaging themselves (and their own holiday traditions) in your home. Therefore, the holidays can prove to be a perfect time to have your home on the market. If you put yourself in the home buyers’ shoes, you can imagine the instant connection to a home that provides classic festive décor, inviting aromas and a general feeling of coziness. When it comes down to deciding when to put your home on the market, remember every home transaction is different and every market has its own quirks. Home buying and selling is personal and the best decision you’ll make will be the one that fits your specific situation. Every season has a benefit and fall should not be overlooked. We’d be happy to help guide you through the pros and cons of each selling season and provide you with our experiences to lead you toward an informed decision when listing your home. Don't hesitate, reach out today! The Condo Guy Team has Moved to Downtown Burlington! Come Visit Us at Our New 40 Main Street Location! I'm incredibly excited to announce that The Condo Guy Team has relocated to a new Office Space in Downtown Burlington! We made the move in order to be able to best serve our clients, customers and their interests. From our new office at 40 Main Street, located in the vibrant heart of Burlington, we can almost reach out and touch many of our past and current clients at Burlington VT's Condominium Communities like, College & Battery Condos, Westlake Condos, Hinds Lofts Condos, Stratos Condos and the Vermont House Condos. We're thrilled to be in a neighborhood where you can run into Past and Present clients while taking a walk to grab lunch or to get a cup of coffee. Our team is still vitally integrated with RE/MAX North Professionals and the new Burlington location has allowed us to further expand our footprint to include our Colchester, Cambridge, Middlebury and now Burlington offices. We're honored to be able to serve so many communities in Northwestern and Central Vermont. Have a Free Cup of Coffee on Us! I'd love the opportunity to show the community our new office and remind everyone of our total commitment to helping Buyers and Sellers of Vermont Condos. Email me at condoguy@condoguy.com or call or txt me at 802-922-8768 and we can set up a time to have a coffee in Burlington, discuss the real estate market and provide a free consultation, or just catch up to say hi. As the busy real estate season is upon us, I want to remind everyone that we're always available to provide a free valuation of your existing home with no obligation or provide you with a free consultation on selling or buying in today's market. We're passionate about all things real estate and would love to share The Condo Guy Team's 20 years of experience with you. Quote: "Sometimes you need a Change of Scenery"
Burlington Rental Units on The Rise - Are New Burlington Condos on The Horizon? You've probably seen the construction sites and cranes while driving around Greater Burlington. A great deal of residential construction has been has occurred recently and a great deal more is near completion or planned for the future. Some notable examples are Liberty House located in former Burlington College/Burlington Diocese property, Bartlett Brook Apartments on Shelburne Road in South Burlington an the much discussed Burlington Town Square Development City Place. A recent Seven Days article highlighting the construction of New Champlain College housing on St. Paul Street on the site of former Eagle's Club. The article examines the impact of recent and planned apartment construction stating that "By December, though, the Chittenden County vacancy rate had risen to almost 3 percent, according to South Burlington real estate firm Allen, Brooks & Minor. That's nearly double the average rates of the previous couple of decades. At least 362 rental units were constructed last year in the county, and another 448 are due this year, including those at 194 St. Paul. In the longer term, with big projects such as Cambrian Rise on North Avenue and City Place on Church Street approved for construction, more than 2,000 units are in the pipeline." The impact of increased supply will likely lead to the stabilizing or lowering of rental rates and there's some anecdotal evidence that this is taking place. This new availability is welcome news to those competing to find rental housing in the tight Chittenden County rental market. How Do New Rental Units Impact The Burlington Condo Market? What impact will new rental units have on the equally tight Burlington, VT Condo Market? Well it's impossible to predict the future, but if developers have difficulty achieving acceptable occupancy rates or are unable to charge the necessary rents to make such projects feasible, they may find it attractive to build more condominum units or convert already approved projects from rentals to condos. Such a shift would add much needed housing stock, particularly for the first time homebuyer segment and those seeking amenities and convenience. It's widely agreed upon conventional wisdom that The Burlington Real Estate market needs more housing of all types. The increasing number of rental units we're seeing now will hopefully open up some of the bottle necks that we're seeing in both condo sales markets and rental markets. Whatever transpires, The Condo Guy Team will be on the front lines helping Vermont condo sellers and buyers. Stay tuned! Low Supply of Existing Chittenden County Condos for Sale But New Construction Abounds! Although the weather has remained wintry cold in Vermont in this early spring 2018, the Vermont Condo Market is beginning to heat up! Demand remains strong as mortgage interest rates remain low if slightly higher than recent years. Continued low inventory of Chittenden County condos is creating pent up demand and supply continues to decrease. Recent Northwestern Vermont Board of Realtors (NVBR) statistics indicate that there is currently a scant 2.6 month supply of condominiums for sale in our region. Conventional wisdom is that a 6 month supply of homes is a balanced market and anything less than that is a seller's market. Anecdotally, there are increasing reports of multiple offers and condos selling above asking price with contingencies being skinnied down to increase the strength of offers. New Carriage Homes like this one in South Burlington offer the maintenance free living of traditional condos, but offer a stand alone structure. Most new construction Chittenden County Condos are come with a higher sticker price than existing Chittenden County Condos, with little to no room for negotiation but offer cuting edge construction techniques, high-end features like central air, 9ft ceilings etc., increased efficiency and the ability to make many of your own selections on items like flooring, paint color and floorplan. When a buyer has found the perfect Vermont Condo for their lifestyle and we sit down to write an offer, a question that almost always comes up when we're discussing about Property Inspections is radon gas. My clients and customers often ask, "what is radon?" According to the EPA: "Radon is a naturally occurring radioactive gas that can cause lung cancer... You can't see or smell radon. Testing is the only way to know your level of exposure. Radon can have a big impact on indoor air quality." Because of the serious potential adverse health impacts of radon, I advise my clients to test for radon in a home they're purchasing in most circumstances. Home inspectors often offer radon testing services. These services will likely increase the cost of your overall home inspection. For a condo or single family home, tests are generally in the $150 range but can vary. Free test kits are available through healthvermont.gov but since testing with these kits takes "3-12" months, they often aren't practical for a home purchase transaction. Tests offered by home inspectors can provide results after a 48 hour testing period. It's important to note, particularly for Vermont Condo Sellers, that certain conditions are required to provide accurate test results. These conditions can include keeping all windows and doors closed during the 48 hour testing period and 12 hours prior. This can be more of an inconvenience result in the summer months. I am not a radon expert and defer to Certified Home Inspectors, the EPA and Health Vermont on recommended radon testing protocol and costs. "Vermont law does not require a radon test as part of a real estate transaction. For real estate transactions or other cases where a quick test is needed, the Health Department Laboratory, private labs, and building supply stores sell short-term radon test kits. Request a kit under the Environmental Testing and Drinking Water Testing Order Forms section. Short-term testing may be done in the basement if the buyer plans to use it as a living space. If you are using short-term test kits, the EPA recommends using two testing devices, placed side-by-side. See the EPA’s Home Buyer’s and Seller’s Guide to Radon(link is external) for more information." "Radon, which is measured in units of picocuries per liter (pCi/L) of air, can be found both inside and outside your house. In Vermont, the average radon level in the outside air is 0.4 pCi/L and the average level in homes is about 2.5 pCi/L. The EPA has set 4.0 pCi/L as the action level for radon. If your test result is at or above 4.0 pCi/L, you should seek help from a certified mitigation contractor(link is external) to reduce radon levels in your home. Radon levels below 4.0 pCi/L still pose some risk, but you can reduce your risk by lowering the radon level in your home. Most radon reduction systems can reduce radon levels in a home to 2.0 pCi/L or lower. If you have tested both your indoor air and your water for radon, using the Radon Contribution Calculator may help you estimate how much of the radon in air is due to radon in the water supply and how much is due to air entering the home through the foundation." Have a safe condo day! No one wants to endure the devastation that a fire can bring. In an effort to make our homes safer, the Vermont Department of Public Safety Division of Fire Safety (say that 10 times fast) enforces code requirements to insure that a minimum level of protection is present in Vermont condos. For the purposes of Fire Safety, condos are generally considered multi-family dwellings. As such, when ownership of a condo is being transferred, the Division of Fire and Safety requires that a Fire Safety inspection is done prior to closing. The Fire Marshal will note any violations in a report completed at the time of inspection or shortly thereafter. Any major violations need to be corrected prior to closing in order for the Division of Fire Safety to provide a Certificate of Compliance. Most real estate attorneys will require that the Certificate of Compliance is in place before recommending their buyer clients close on the property. In short, a Certificate of Compliance is needed to close. Many attorneys now see this as a title issue. As codes have been updated over the years to improve safety, one of the most common violations that comes up during the sale of VT Condos is inadequate Smoke Alarms. All smoke alarms within a condo must be Photoelectric type and must be "In the immediate vicinity of sleeping rooms, inside each sleeping room, and on all floor levels including the basement". Some requirements vary depending on how many Condo units are in each structure and the age of the construction: These include whether the units have to be interconnected, hardwired with battery backup, have 10 year lithium batteries, or whether sprinklers are required. For a more complete list of regulations, check out this convenient sheet provided by the Division of Fire Safety. Please utilize the Division of Fire Safety website for more information. 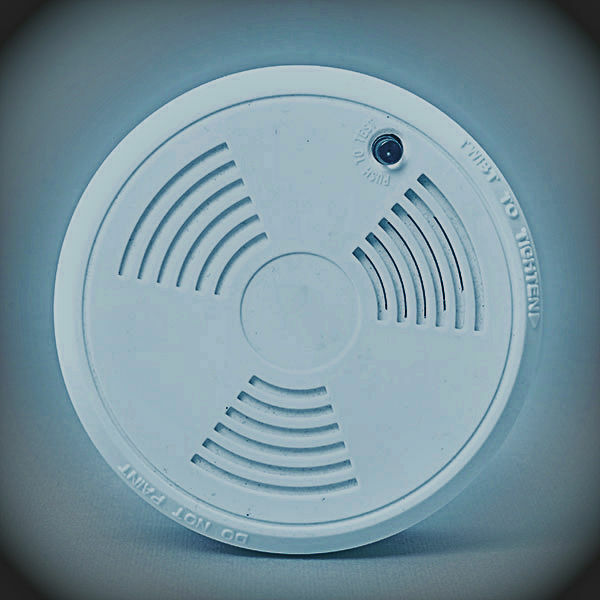 We'll have fiollow-up blog posts regarding Carbon Monoxide detectors, Fire Extinguishers, hand railings and more. The Condo Guy Team is also happy to meet with you in person for a free seller consultation to discuss this and other issues that may arise during the sale or purchase of your VT Condo. We recommend always adhering to Division of Fire Safety Codes and Requirements and using licensed electricians whenever necessary. Contact us at anytime with thoughts or questions you may have. Have a fantastic and safe condo day!